This Gift Set allows you to enjoy our Multipurpose Herbal Balm crafted with Organic Beeswax, Organic Coconut Oil; Organic EVOO and Avocado Oil. It has been infused with Organic Comfrey Leaf, Organic Plantain Leaf and Organic Lavender Buds. An essential oil blend of Lavender and TeaTree has been added. A great multipurpose balm for dry skin and irritated skin! 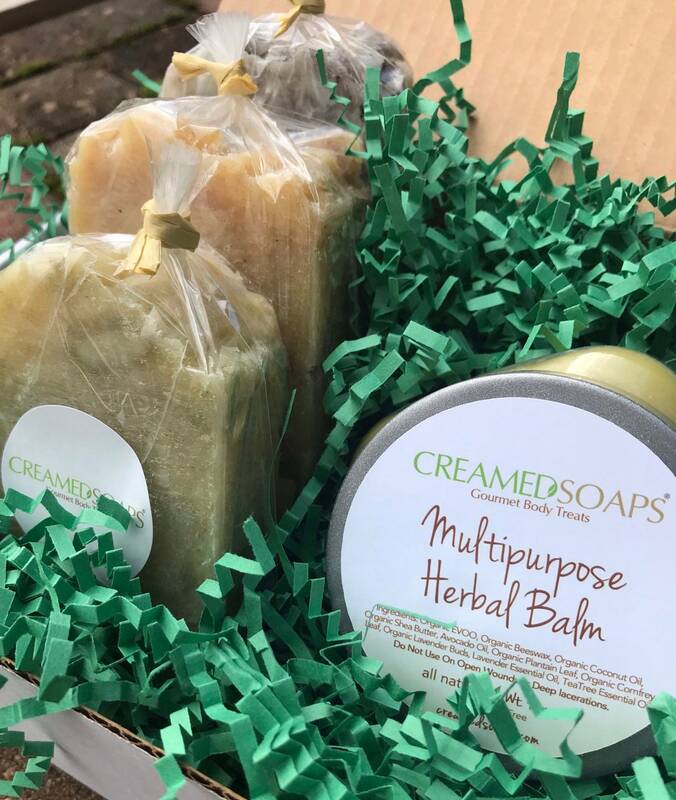 Paired with this balm are (3) of our 5oz CreamedSoaps! Each bar is crafted with Organic Butters and Oil, scented with Pure Essential Oils and colored with Ground Herbs! 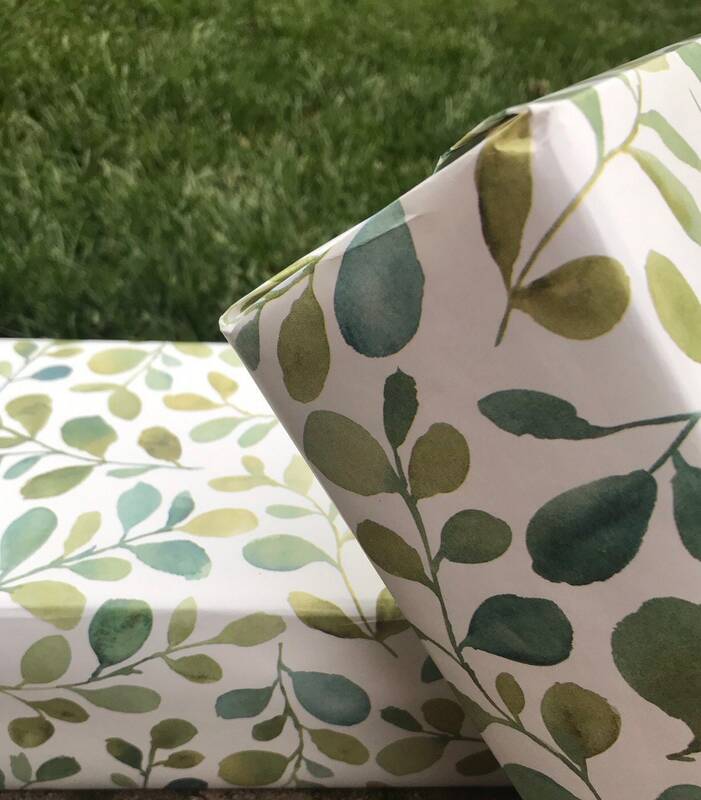 This set comes beautifully packaged in our Nature inspired wrapping paper.